The visionary developer George Merrick drew up plans for his near-utopian City of Coral Gables. 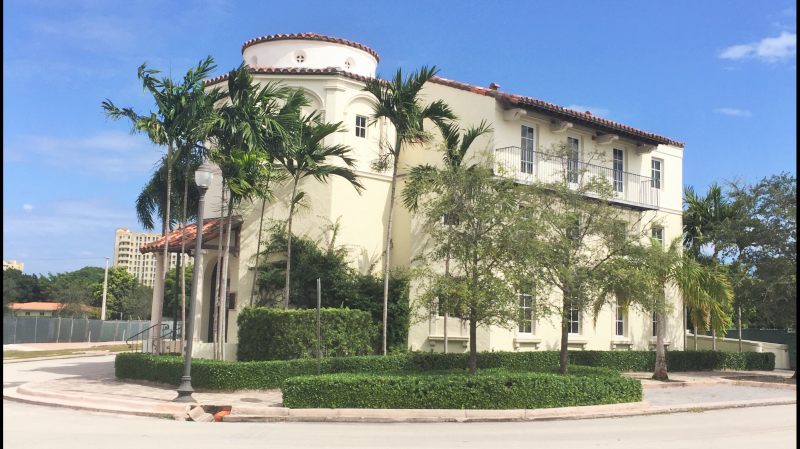 It was in Coral Gables in the mid-1920s that Mediterranean style flourished with houses, buildings and fountains—all designed around another time and place. The wonder was that it became the emblematic architecture of an era in Miami, and indeed throughout Florida. The beauty and charm of Coral Gables is experienced in the city’s numerous plazas, entrances and fountains that set the original “Spanish” style of the carefully planned community. One of these Architectural Jewels is the Coral Gables Art Center Building, situated in the heart of the Crafts Section, an area originally planned exclusively for craftsmen and artisans. It was built by George Merrick in 1925 to house the offices and studios of his architects and artists. The most noted among them were its designers Phineas Paist, Denman Fink and Paul Chalfin. Merrick’s brother Richard, an artist also, worked out of this building. At present, Agave Ponce, LLC’s offices and the project development team are located in this historic building. The Arts Center Building will remain in the heart of the Plaza Coral Gables and serve as a central point for the art, cultural, entertainment and food & beverage experience of the project.